NOW $1,794,000! Investors, your time has come! Supreme investment arrives with SEVEN UNITS TOTAL including 5 newly-built stand alone residences. They'll be finished in 2nd quarter of 2019! 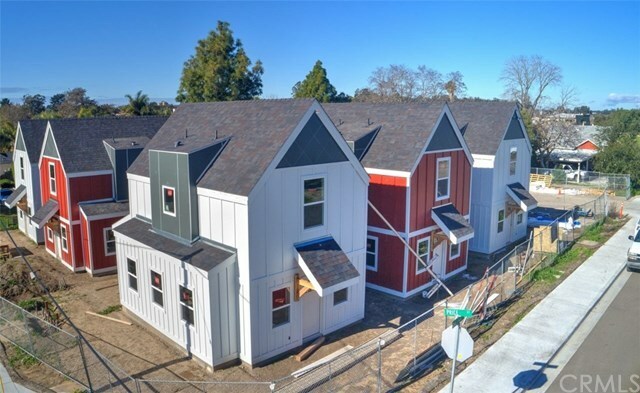 Newly built buildings include new micro-community that is focused on sustainable communal living and recapturing the vision of the American suburban neighborhood. Located at the corner of Price & Mallagh in Nipomo, CA this development will include 5 single family homes: 3- 3 3edrooms with 1 3/4 baths and 2-2 bedrooms with 1 3/4 baths. All units include a private yard and open up to a public common space. Leases will begin in Q2 2019. Also approved for one more unit with utilities already installed. Just when you thought you heard it all, after the final sign off there will be a separate electric metered renovated two bedroom home and separate electric metered additional one bedroom home. Current rents are 1550 and 900 for two and one bedroom homes respectively each with their own bathroom. So what are you waiting for? Get yourself in gear with an accepted agreement with the seller today. Have the enjoyment of watching the final finished product final touches completed. Get ready to rent for the fortunate few who will enjoy brand new occupancy. The work-load of new construction remains in its final stages! The early investor-bird gets the worm so drive by, then arrange your agent to write an offer today subject to viewing. Lastly if needed, the owner will carry note with 30% down.